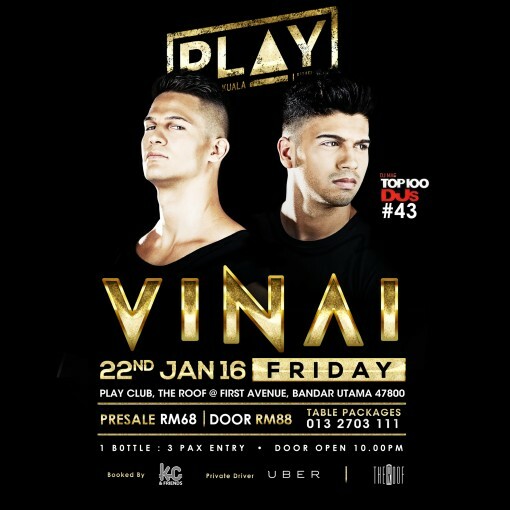 PLAY Club KL presents the dynamic duo, VINAI on the 22nd of January. In 2013 they signed with Time Records to release the bomb track ‘Hands Up’ which received support from top international artists like: Tiesto, Showtek, DVBBS, MAKJ, Nari & Milani, Deorro, Quintino, Deniz Koyu, Danny Avila, DJ BL3ND, Lucky Date, Gregori Klosman and many others. They followed this with a remix for Axtone of ‘Starlight’ by Don Diablo which was played by Sander Van Doorn, Pete Tong, MAKJ & La Fuente. In 2014 VINAI joined SPINNIN’ RECORDS and together with ‘Tsunami’ Canadian duo DVBBS they released the anthem track ‘RAVEOLOGY’. 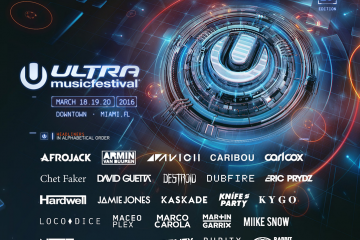 RAVEOLODY gained huge feedback from the world’s biggest DJs including Hardwell, David Guetta, Dimitri Vegas & Like Mike, Diplo, Afrojack, Showtek, W&W, Martin Garrix, Armin Van Buuren, Sander Van Doorn, R3hab, NERVO, Ummet Ozcan and many many more.